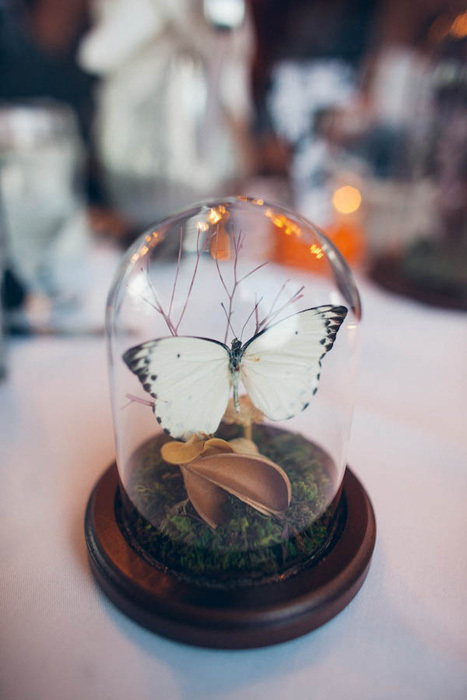 When people talk about centerpieces, we usually envision some sort of flower arrangement, but who says wedding centerpieces have to be floral? 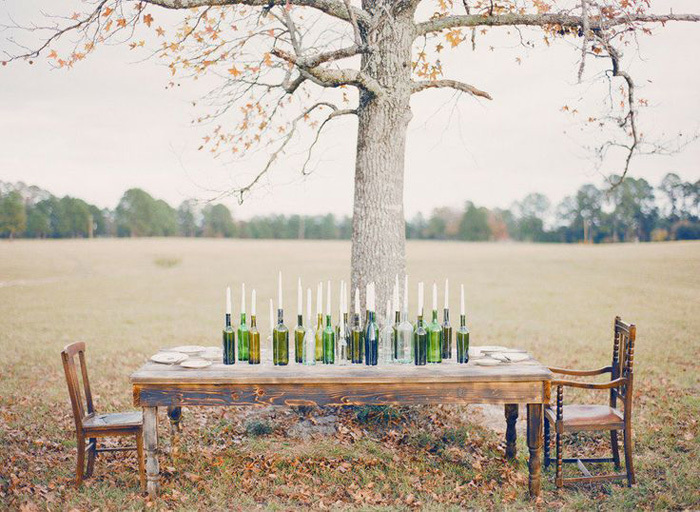 A flowerless table doesn’t have to mean a naked table and it certainly doesn’t have to be boring! 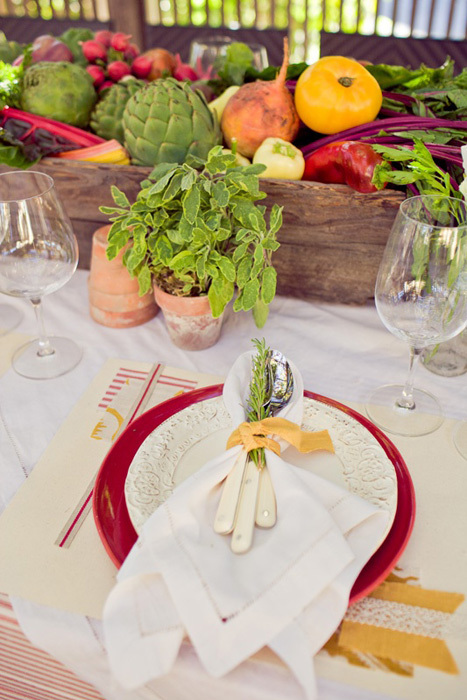 We believe that just about anything can be used to create a fabulous focal point for your table setting and we’ve found some great examples to prove it. 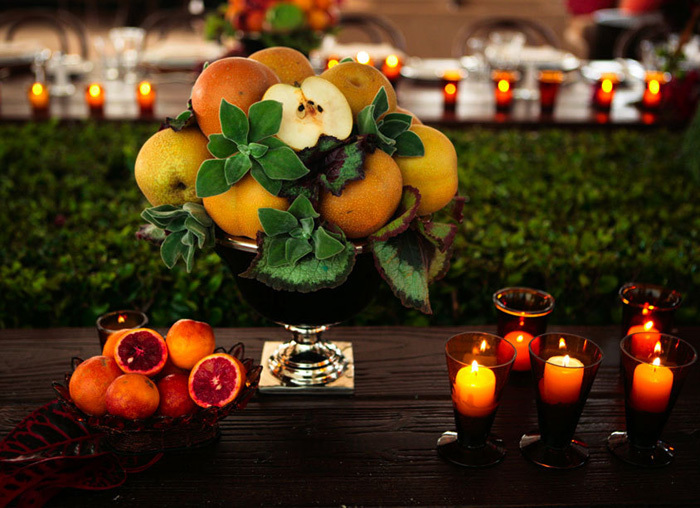 Edibles make excellent centerpieces. 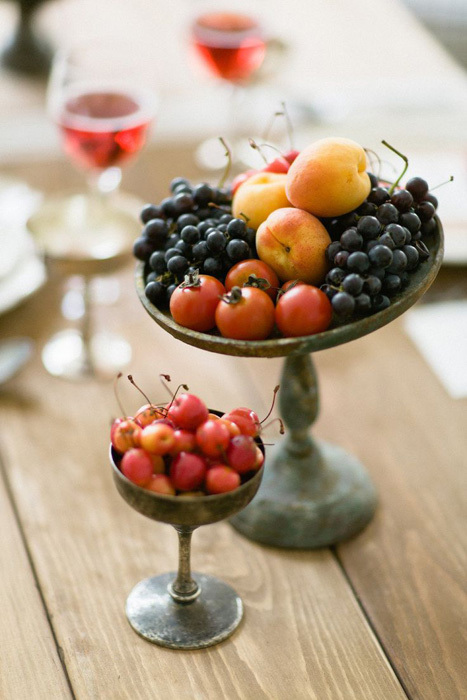 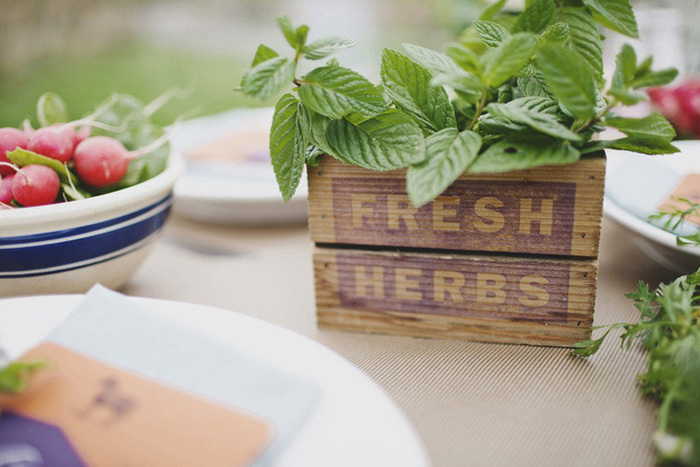 Fruits and vegetables have the most amazing colors and textures that rival any bloom out there, while herbs add an earthy green touch and delightful aromatic punch to the table. 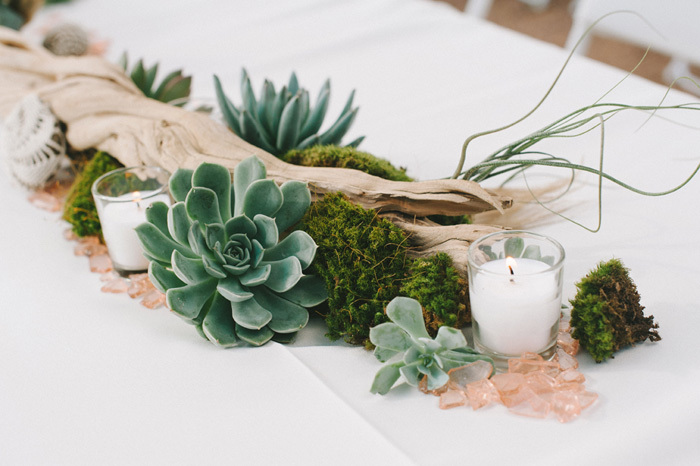 When you look outside the flower box, you’ll find that the natural world offers up many beautiful options for your centerpieces. 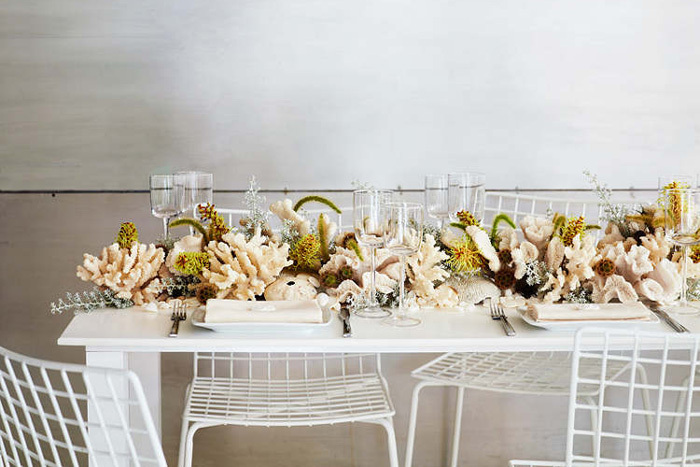 Coral, shells, driftwood, antlers, feathers, and succulents, whether paired together with other elements or displayed on their own, can make for some truly incredible tablescapes. 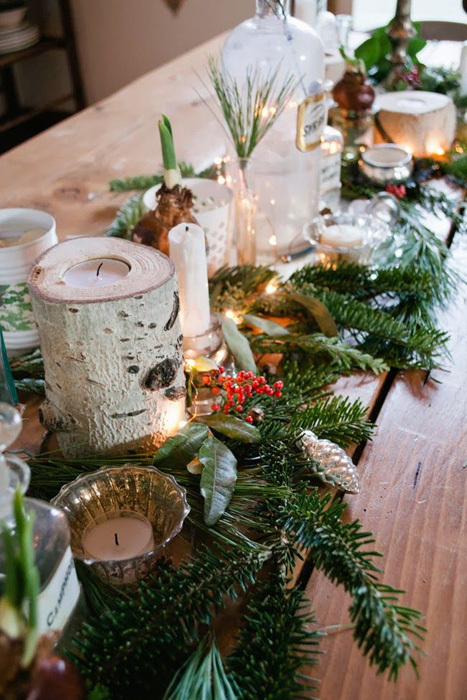 If you’re still struggling for inspiration, just look to the season for ideas. 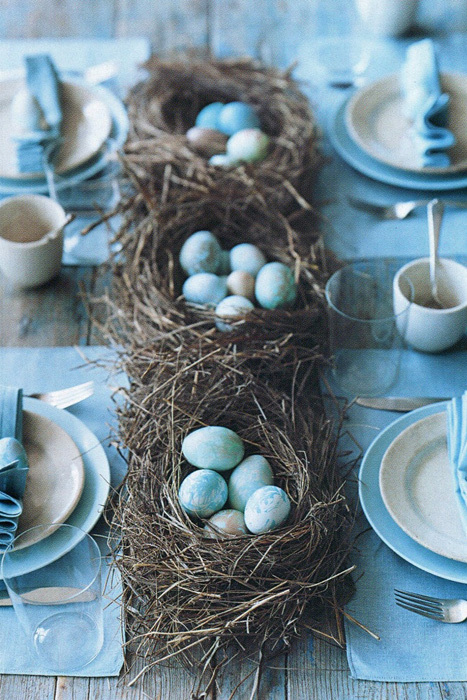 For a spring wedding, why not try a row of birds’ nests? 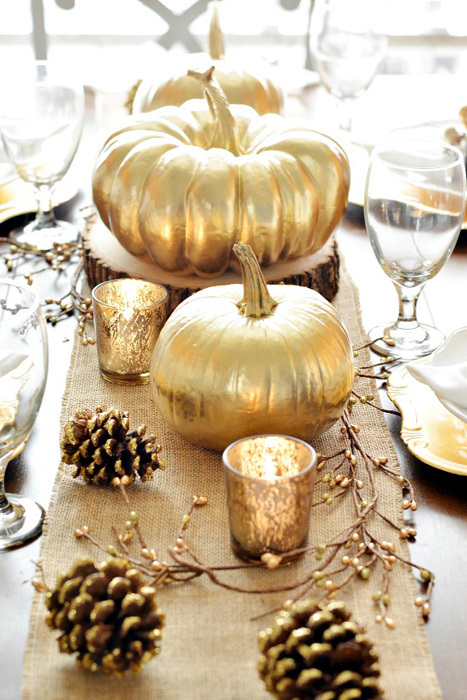 For fall, pumpkins are a no-brainer, while winter calls for lots of greenery, red berries, wood accents and vintage ornaments. 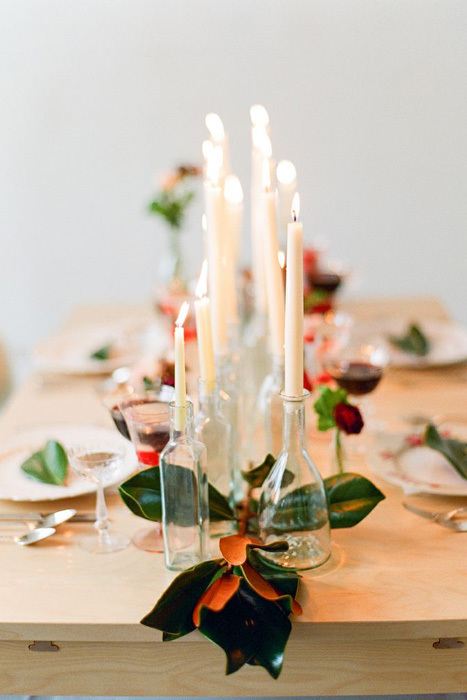 Candles are often used in conjunction with flowers on the table, but why not let them take center stage instead? 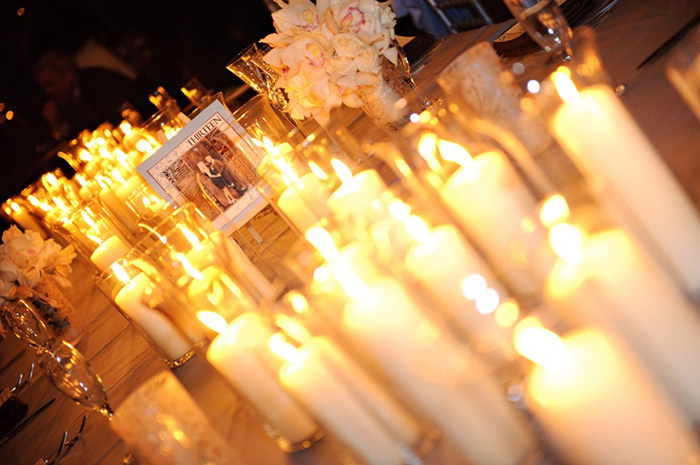 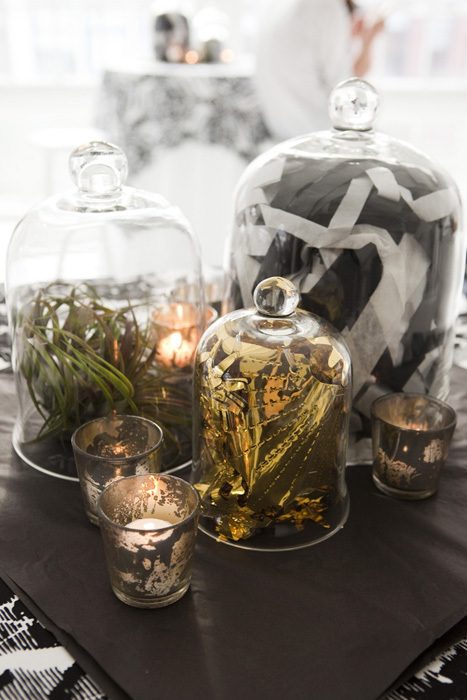 Adding a multitude of candles adds a dramatic touch and instant romance to a table setting. 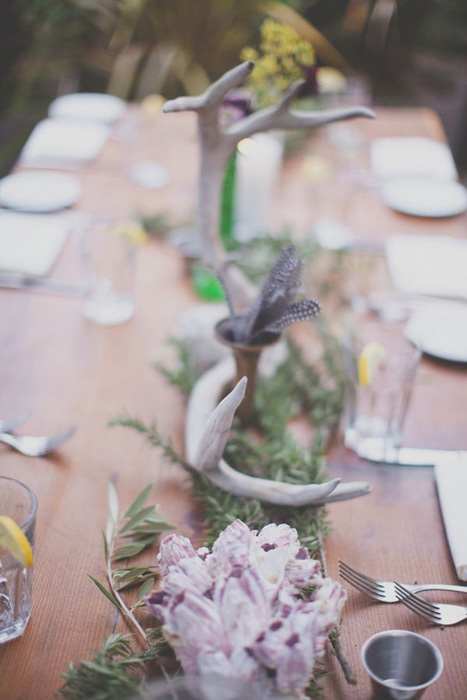 Opting for non-floral centerpieces is a great way to show off your passions, your collections and your personality. 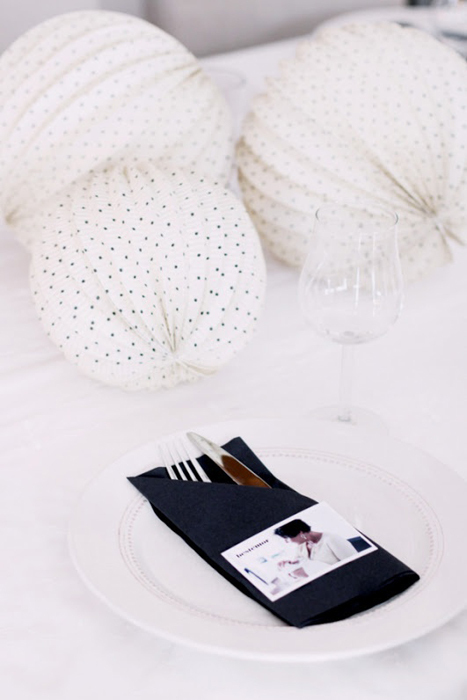 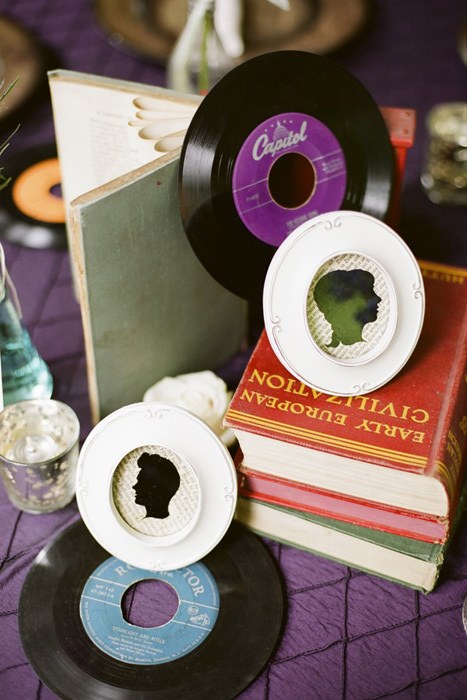 Whether you’re a book lover, a collector of records, an antique hunter, or just like to have fun, choose unconventional items for your centerpieces that reflect you, your partner, and your relationship.